ACU is on a short list of universities in the world whose undergraduate students are invited to be collaborators each year with graduate students and physicists on experiments at Fermi National Accelerator Laboratory near Chicago. Here, ACU professor of physics Dr. Donald Isenhower (’81) meets with his students in 2009 in a strategy room at Fermi, which is overseen by the U.S. Department of Energy. A sign on the door indicates the labs and universities partnering on the project. One of those with a keen interest in this week’s physics conference hosted by Abilene Christian University is Dr. Charles Ivey (’65), professor and chair of ACU’s Department of Physics from 1969-81. He built a program of distinction in physics at Abilene Christian by hiring talented faculty members and securing grants that helped provide research opportunities for students. Ivey entered the energy business in the early 1980s, serving as vice president of research and development of GeoNuclear Consultants Inc.; vice president and technical director of LaJet Geophysical; president of Russell Petroleum; CEO of Dwight’s Energy Data Inc.; and president and co-founder of SoftSearch Inc., a provider of petroleum analysis software systems for energy companies and financial institutions that later expanded to provide information and analysis to the medical community for the American Medical Association. Ivey later led the merger of Petroleum Information and Dwight’s Energy Data to provide the largest energy information and economic evaluation software company in the world. He also served as CEO of Tobin International, the leading energy mapping company, and many other subsidiaries and acquisitions in several countries. This week’s conference is the joint Spring 2014 meeting of the Texas sections of the American Physical Society, the American Association of Physics Teachers and Zone 13 of the national Society of Physics Students. Sessions meet March 20-22 in the Hunter Welcome Center, with some notable speakers on the program. Growing up in Eula, what or who influenced you to pursue a career in the sciences that would later take you around the world? I was fortunate because of a great physics and mathematics teacher at Eula. Mr. McCoy was his name and although our school was not large, it allowed me access to the physics labs anytime during the day. I was given extra books and told to pursue wherever my interest took me. Mr. McCoy was always there to encourage and challenge me. You earned undergraduate and graduate degrees in chemistry. What made you focus later on physics? When I arrived at ACU as a freshman, there was not a robust physics program. I majored in chemistry and minored in mathematics because they were stronger programs – but not what I really wanted to do. My graduate studies at The University of Texas steered me into chemical physics. Chemistry is a great field of study, but physics is where I found my calling, and all my research was done in the laboratory of the chair of the physics department. Dr. Mike Davis was an inspirational professor who oversaw my research in electron diffraction. What are some of the lessons you learned working outside academia in your career? The ability to continually learn new fields was possible because physics, mathematics and chemical physics, combined with computer science, enable you to do just about anything of a technical nature. I am proud of the fact that my companies employed thousands of people. Imagine the satisfaction of creating careers for so many because of ideas that came out of my head. I loved building, acquiring and running companies because when a company performs better, it is great for all the employees, managers and investors. I always heard from customers and competitors that our company culture was the best in the industry. I just kept doing what I was doing when a professor at ACU, trying to empower people to accomplish more. It is a simple concept of great power. To what do you attribute the success of the ACU physics program through the years? Great teachers and well-conceived curriculum with research opportunities outside the classroom have always formed the base of an ACU physics education. 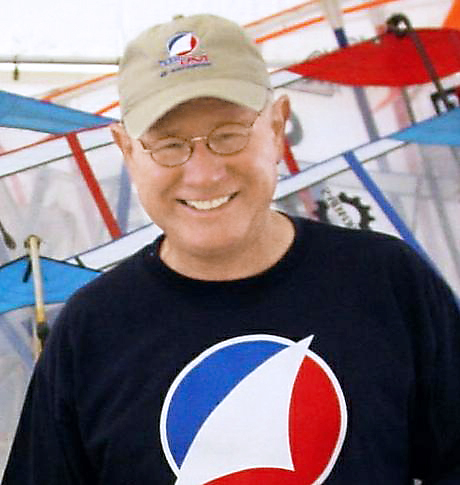 In Dr. Paul Schulze (’62), I had an ideal partner building the initial program. We wanted to emphasize undergraduate research and have the opportunity for our work to be funded in part by grants. We made sure graduate-level topics were present in physics classes. That has paid off with so many distinguished students who have followed and continue to be produced by our program. That a number of today’s physics faculty were once undergraduate students at ACU says a lot about the outstanding preparation of our students. The ACU faculty and students today greatly exceeded the high expectations I had for the future of the department and what I started. 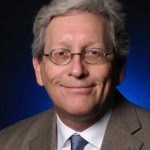 Dr. Rusty Towell, professor and chair of physics and engineering, supervises ACU students each summer who work with him at Brookhaven National Laboratory on Long Island in New York. Dr. Rusty Towell (’90) tells prospective students that ACU has the best undergraduate physics program in the world. How so? The high-level undergraduate research opportunities are not typical at other universities, or reserved only for graduate or post-graduate students and faculty. ACU students work alongside some of the brightest nuclear physicists in the world at places like Fermilab, Brookhaven, Los Alamos and other national labs. They have built nearly all the nuclear detector panels on one of the colliders at Brookhaven, which means every experiment done there owes its success to ACU and its undergraduates. New science facilities on our campus will only expand the opportunities our professors and students can have to do research together. Now is a great time for new students as the departments of physics and engineering expand and grow, and I know they will continue the level of excellence that has been firmly proven. 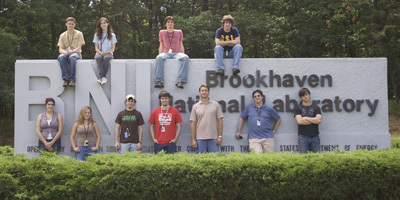 How does it make you feel to continue to be connected to students and to know undergraduates from ACU have such rare opportunities today to work at national labs like Brookhaven and others alongside graduate students and physicists from around the world? It makes me proud and humble. I am awed by the work of the faculty here that followed me. The warm feeling of a former student calling to share their success is wonderful. The opportunities I have to lecture and advise students at ACU and other universities are something I don’t take for granted. These activities are very fulfilling. Our students are achieving great things as undergraduates, and the record shows they excel after graduation in many diverse fields. I always thought it was a great advantage to be from this program at ACU. Why is it important for physics and engineering programs to be close partners at ACU? Most people are not aware that physics and engineering majors share much of the same foundational educational experiences. Students in each program share many of the same classes at the freshman and sophomore levels, then branch out or specialize in various studies as juniors and seniors. It makes sense for engineering and physics to be paired at ACU, and I think the new lab space they’ll share this fall will be a natural learning environment that will benefit both. Certainly the off-campus research in the physics program will have applications for engineering majors as well. It’s a win-win. Physicists with knowledge of engineering and engineers with knowledge of physics are going to be better prepared than either in isolation. I know; I have earned a few engineering awards and have employed many types of Ph.D.s and engineers. Later this week, some of the world’s top physicists will be on campus to speak at the joint sectional meeting of the American Physical Society, American Association of Physics Teachers, and Society of Physics Students in Texas. In 1979, you coordinated this same conference at ACU, with speakers from Texas-Austin, California Institute of Technology, UCLA, the past chair of advanced studies at Princeton, and other top universities. What value does such an opportunity mean to ACU and its faculty and students, and what are you hoping to hear from speakers on this year’s program? It’s a great opportunity that doesn’t come our way often. It gives ACU even more exposure to its peers in higher education and allows our undergraduates to present their research at a professional conference without leaving campus. This particular meeting, like others ACU has hosted, is truly an important scientific contribution. Two of the speakers on this year’s program – Dr. Robert Hargraves, recently retired from Dartmouth University, and Kirk Sorenson, a nuclear engineer formerly with NASA – are internationally known advocates for the development of thorium as an energy source. What makes thorium an alternative to uranium? Many years ago, thorium was a promising option actually recommended by the key scientists who developed the first reactors. The U.S. instead decided to concentrate its nuclear program on uranium fuel and pressurized water reactors via a political decision not supported by many scientists. Thorium is less toxic than uranium and has the potential to be more cost-effective and much kinder to the environment (a molten salt thorium reactor can actually consume dangerous spent nuclear fuel). It also is an abundant material. Other nations such as China and India are making huge advancements in the development of thorium as a nuclear fuel source, and the U.S. can no longer sit on the sidelines and allow other countries to gain an advantage in this enabling technology. ACU is fortunate to have two of the top experts on thorium to be plenary speakers at this conference. In your address to ACU graduates at Commencement in May 1981, you said, “A wise person once told me that my own education was more valuable than any property or riches and yet my title, degrees and accomplishments mattered very little.” Do you still believe that, and why? What I learned is the power of a useful education is the enabler for accomplishing whatever you may choose to pursue. Education is the great enabler. I received a great education at ACU, and was guided by people inside and outside the classroom who had a profound impact on me. I met a fine Christian gentleman in Ray McGlothlin Jr. (’49), former chair of ACU’s Board of Trustees, who gave me opportunities in the corporate world to apply my tool kit of skills to real-world problems. The experience changed my life. There are so many to thank; I know it is fruitless to try naming them all. I think I might have been the only Industrial Technology major to take Electronics at ACU in the Physics department. Never taught school as I had originally planned although that year in Instrumentation really equipped me for my career direction. Excellon Automation, Northrop Aircraft Division and the Boeing Company. Forth, C/ C++ programming and Linux/ Unix as well as Microsoft stuff. While attending my 30th ACU Reunion this weekend (Class of 1985), I ran into Dr. Charles Ivey. Four of us had a completely engaging conversation with Dr. Ivey, who was attending his Class of ’65 reunion. I was reminded of his teaching ability but also his personal warmth. He engaged everyone that was there and asked about each of our careers. Not only a brilliant man and teacher but a genuinely caring man. He spoke warmly about many of his former students by name and their accomplishments. We shared some history of the things that were going on around the world in the late ’70s and ’80s that he had been a part of which completely blew us away. Time and age have not diminished him in the least. Incredible conversation. Thank you Dr. Ivey. A very informative interview, very nice. Great interview from Dr. Charles Ivey. Thanks for this! Dr. Ivey is the man! I remember sitting in Ivey’s Astonomy class and thinking about his teaching. I wanted to be a teacher, certainly not in the sciences, but I NOTICED things about him: here he was, this brilliant man who could keep (most of) us awake first thing in the morning in a darkened room as we looked at and talked about starts. Of course, I also remember the day he leaped straight up onto the lab table and the day he whisked a tablecloth out from under a bunch of beakers, bunsen burners, and other science-y stuff like that. I also remember the comics he threw into his slides, like “Galileo looking at the heavenly bodies,” which was a strip showing Galileo looking NOT at the heavens but into a girl’s room across the way! Great teaching style! Ivey was influenced by a great teacher, became one himself, then went on to even bigger things beyond the classroom. It all starts with education, or as Ivey himself points out, “What I learned is the power of a useful education is the enabler for accomplishing whatever you may choose to pursue. Education is the great enabler.” Good column, Ron.